My annotation is not professional although I am chinese,some meaning is incomplete,I can not guarantee they are all Exact.Some are discoved by other chinese friend,thank for their help! Wait my pictures to be downloaded with patience. I believe this is very helpful for westerners. Thank you yhg342 that is very interesting. The Book of Changes (the I Ching) is well known as an "oracle" or divination system. 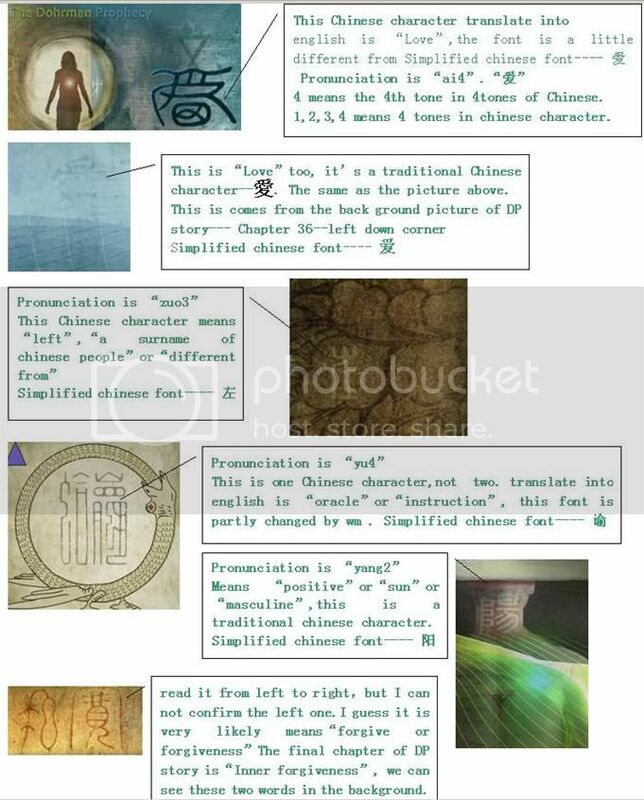 "Traditionally, the I Ching and its hexagrams were thought to pre-date recorded history, and based on traditional Chinese accounts, its origins trace back to the 3rd to the 2nd millennium BC. Modern scholarship suggests that the earliest layer of the text may date from the end of the 2nd millennium BC, but place doubts on the mythological aspects in the traditional accounts. Some consider the I Ching' as the oldest extant book of divination, dating from 1,000 BC and before. The oldest manuscript that has been found, albeit incomplete, dates back to the Warring States Period (475 BC-256 or 221 BC). 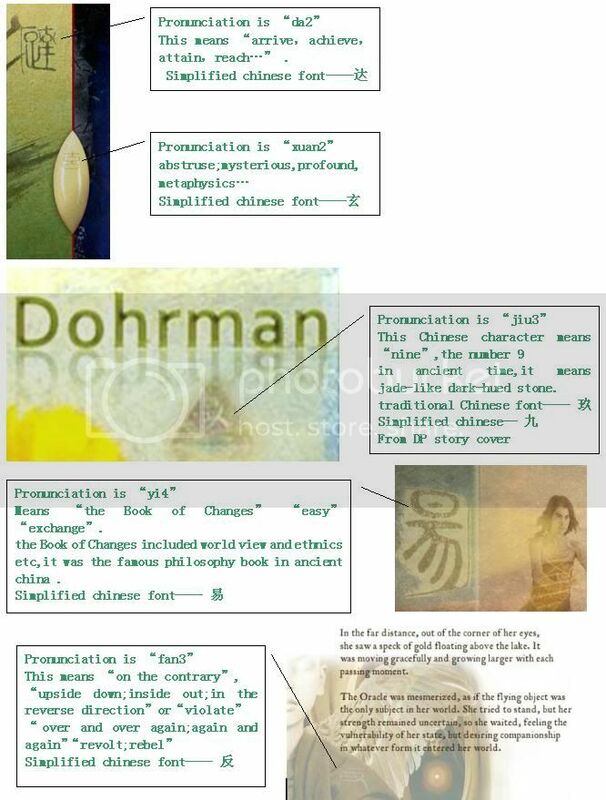 I am curious though, does the word "Dohrman" translate into anything Chinese? What an excellent thread! I love the multi-levels revealed about the Dorhman Prophecy.